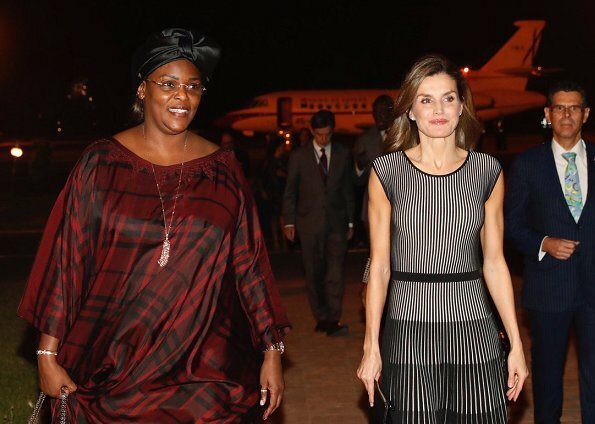 On December 11, 2017, Queen Letizia of Spain arrived in Dakar, Senegal. 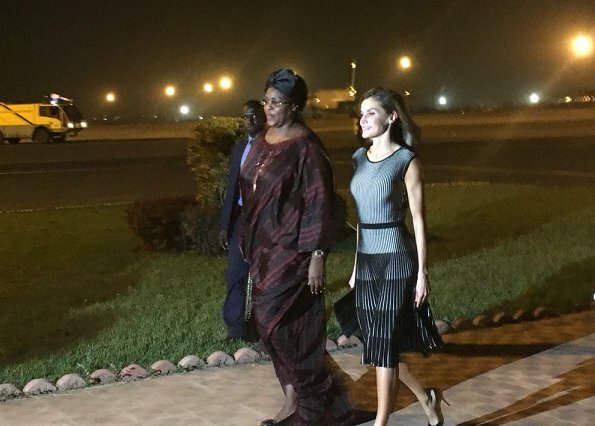 Senegal's First Lady Marieme Faye Sall welcomed Queen Letizia at Leopold Sedar Senghor International airport in Dakar. Queen Letizia of Spain is on a four -day visit to the west African country to support the Spanish cooperation projects. Yikes! This pattern doesn't photograph well. She needs to retire the dress, which she's worn before. Wishing her a successful visit.